Enhance the natural beauty of your eyelashes and eyebrows with RevitaLash, a luxurious line of lash and brow conditioners (or I like to call boosters). RevitaLash’s breakthrough, ultra-advanced technologies produce a noticeable difference in your look, in fact it is quite eye-popping. Shiny lashes and filled in brows really do dramatically change your appearance. They help to bring out your eyes and shape your entire face. 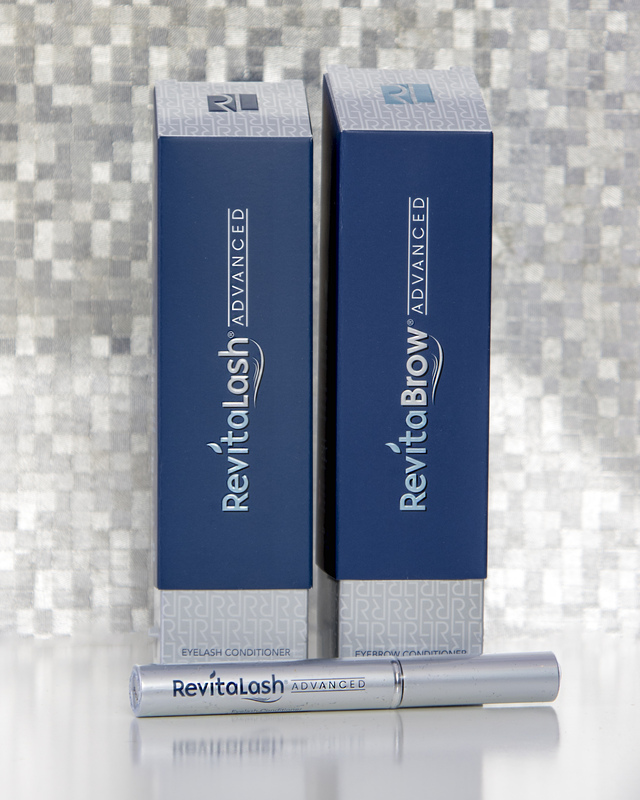 RevitaLash eyelash & eyebrow conditioners. Let’s start with the RevitaLash Advanced Eyelash Conditioner. It’s pretty awesome, in short! It quenches dry, thirsty eyelashes. It nourishes with natural (I love all things natural!) botanicals. It protects from breakage. The end effect is moisturized, shiny, healthy, full-of-life lashes. As I get older, I have noticed a change in my lashes – they are just kind of dull. This treatment does the trick. Use it daily for the best results – immediate and continued. It is really easy to apply, and one little tube lasts about six months. As you may know, I have a thing about eyebrows. I like them shaped well, to frame the face, and to appear full, with no sparse spots. The RevitaBrow Advanced Eyebrow Conditioner takes ordinary brows and transforms them into extraordinary, with continued use, of course. Now, you’ll have to shape them yourself…but otherwise just apply daily and watch. Your brows will be soft. They will be fuller. They will be less fragile. They will look and feel silky. They will be easier to work with, meaning they’ll be more cooperative. And, yep, same as the lash conditioner, one tube lasts around six months. Oh, and for your guys…it works great on sideburns, beards and goatees. The entire RevitaLash collection is made with top-quality ingredients for top-quality results. Revitalize your look. Leave me a comment letting me know what you think of these breakthrough products. This entry was posted in age defying, brow conditioner, lash conditioner and tagged eyebrows, eyelashes. Bookmark the permalink.